At the 12th HPC Connections Workshop in Wuhan, China, Beihang University Professor Depei Qian disclosed new information regarding HPC development in China and exascale plans that are shaping up under China’s 13th five-year plan (2016-2020). Since 1996 Professor Professor Qian has served on the expert committee for the National High-tech Research & Development Program (the 863 program). Currently, he is the chief scientist of the 863 key project on high productivity computer and application service environment. Professor Qian acknowledged that despite export restrictions on processor and software technology imposed by the US, work continues on two 100 petaflops (peak) systems: the next iteration of Tianhe-2, installed at the National Supercomputer Center in Guangzhou, and the upcoming Sunway system coming to the Jiangnan Institute of Computer Technology in Wuxi, China, near Shanghai. The official line is that these systems will be ready “by the end of the year,” but there have been rumblings that one or both of these systems will be introduced during the ISC’16 event in June. In a Tuesday session at ISC, Professor Dr. Guangwen Yang, the director of the National Supercomputer Center at Wuxi, China, is slated to deliver talk titled “The New Sunway Supercomputer System at Wuxi.” Dr. Yang will describe the hardware and software elements that make up the system and some of the applications that will be deployed on it. A notice for that talk mentions that the system will be formally announced this summer. China has been known to play its cards close to the vest before and launched its current supercomputing star, Tianhe-2, two years ahead of schedule. With a theoretical peak speed of 54.9 petaflops and a LINPACK rating of 33.86 petaflops, Tianhe-2 (the name means “Milky Way”) has been the world’s fastest number-cruncher since it debuted on the June 2013 TOP500 list. The implementation scheme of the second phase of Tienhe-2 was evaluated and approved in July 2014. The original plan was to use next-generation Intel Xeon Phi (Knights Landing) processors for the upgrade path but due to export blocks put in place by the US, China was stimulated to accelerate its native chip development efforts. The new plan relies on Chinese made processors. “The development of the new FeiTeng processor is underway and we are waiting for the processor to upgrade the Tianhe-2 system,” said Professor Quin. The second 100 petaflops system (Sunway) will use the next-generation Chinese-made ShenWei chips and will be implemented together with a general purpose cluster system of 1 petaflops performance. This configuration is designed to meet a wide variety of application requirements. Both systems were developed under the auspices of China’s 12th five-year plan (2011 to 2015). Also under this program, China has been exploring new operation models and mechanism for CNGrid (China’s national HPC environment) and developing cloud-like application villages over CNGrid to promote applications. The CNGrid service environment is a major resource of computing and storage across China. Currently, this environment is enabled by the CNGrid Suite, a software package used for the operation of the environment, Qian noted. There are 14 nodes altogether, more than 8 petaflops aggregated computing power and more than 15 petabytes of storage. The organizers have deployed more than 400 software applications and tools and also use this environment to support more than 1,000 projects. Domain-oriented application villages are being established on top of CNGrid to provide services to the users. There are three current application villages under development: industrial product design and optimization, new drug discovery and digital media. China has also deployed a number of parallel software development efforts to support fusion simulation, CFD for aircraft design, drug discovery, rendering for digital media, structural mechanics for large machinery, and simulation for electro-magnetic environment. The level of parallelism required is more than 300,000 cores with an efficiency of more than 30 percent. Also noted were a weakness in novel devices — memory storage and network as well as large-scale parallel algorithms and programs, system software, commercial software. “This is a very special phenomenon in China,” said Qian. “Currently China relies on the imported commercial application software, that software is very expensive and also limited in parallelism and limited by regulations. The center in Guangzhou cannot freely purchase system software from the vendor.” The third weakness is one shared by many countries: a talent shortage. “We don’t have enough people to work in HPC because either they only know the IT side or the domain side. We need more talented people that are also cross-disciplinary,” stated Qian. After updating the continued supercomputing progress being made under the 12th five-year plan, Qian walked through brand-new elements of China’s 13th five-year plan, which puts into motion one of the most ambitious exascale programs in the world. If successful the program will stand up an exaflops (peak) supercomputer by the end of 2020 within a 35 MW power limit. China is in the midst of overhauling its national research system and restructuring 100 programs into five tracks: Basic research program; mega-research program; key research and development program; enterprise-oriented research program; research centers and talents program. The new track that is being focused on in the session is the third one – the key research and development program. A proposal for the track-3 key project on HPC was submitted in September 2015 and launched on February 2016. 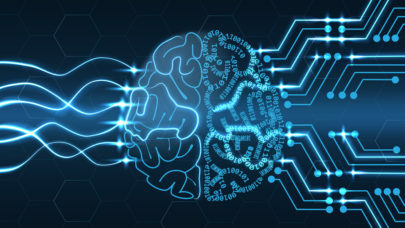 The primary pillars for the key project are developing exascale computers, promoting computer industry by technology transfer and a China-controlled HPC technology set. The major tasks are next-generation supercomputing development, CNGrid upgrading and transformation, and domain HPC applications development. A robust supercomputing program is seen as a critical for addressing grand challenge problems spanning the environment, energy, climate, medicine, industry and science. According to Professor Qian, the number one priority task is the development of an exascale supercomputer, based on a multi-objective optimized architecture that balances performance, energy consumption programmability, reliability and cost. To achieve this goal, China is funding research into novel high performance interconnects with 3-D chip packaging, silicon photonics and on-chip networks. Programming models for heterogeneous computers will emphasize ease in writing programs and exploitation of performance of the heterogeneous architectures. The program includes the development of prototype systems for verification of the exascale computer technologies. The computer scientists will explore possible exascale computer architectures, interconnects which can support more than 10,000 nodes, and energy efficiency technologies, as power demand is known to be one of the biggest obstacles toward exascale. The exascale prototype will be about 512 nodes, offering 5-10 teraflops-per-node, 10-20 Gflops/watt, point to point bandwidth greater than 200 Gbps. MPI latency should be less than 1.5 us, said Qian. Development will also include system software and three typical applications that will be used to verify effectiveness. From there, work will begin on an energy-efficient computing node and a scheme for high-performance processor/accelerator design. “Based on those key technology developments, we will finally build the exascale system,” said Qian. “Our goal is not so ambitious – it is to have exaflops in peak. We are looking for a LINPACK efficiency of greater than 60 percent. Memory is rather limited, about 10 petabytes, with exabyte levels of storage. The final goal of the exascale program is technology transfer. Qian said that China will work to field high-end domain-oriented servers based on exascale system technologies. These servers will take advantage of the advances at the node, the interconnect, scalable I/O, storage, energy savings, reliability and application software. The professor also spoke at length about China’s software strategies.”We cannot distinguish key technologies from applications, so there will be a joint effort in this direction.” Demo applications span a numerical nuclear reactor, a numerical aircraft, a numerical earth and a numerical engine. The plan is to transfer some of the software into products to be adopted by a minimum of 50 users. To support this effort, China will establish three national-level research and development centers for HPC application software. The professor emphasized that China’s “self-control” strategy to eliminate dependence on foreign tech doesn’t just refer to the processor and other hardware. “One of the efforts reflected in our plan is to develop parallel algorithms and parallel libraries for the system to improve the capability of developing modern-scale systems,” he said. The final new element of China’s renovated program is the development of a platform for education that will provide computing resources and service to undergraduate and graduate students. A call for proposals for the new key project was issued on February 19, 2016. The proposals will be reviewed over the next two months and then the selected projects will be announced.